WASHINGTON—Terrence Wise needs a raise. So did his Mom. She never got enough of a raise to lift her and her family out of poverty. Wise wants Congress to do that for himself, his current fiancée, and his three daughters. 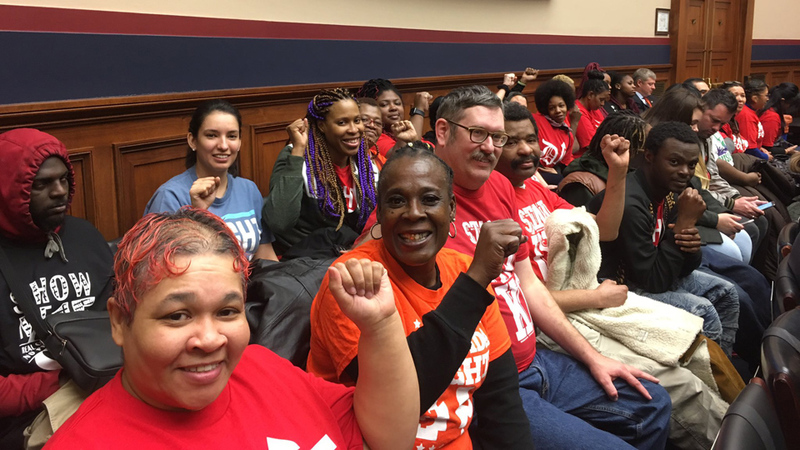 So Wise, 39, who works at two fast-food jobs in Kansas City, Mo., came to Capitol Hill on Feb. 7 to tell lawmakers his tale and urge them to increase the federal minimum wage to $15 an hour by 2024. Democrats liked what they heard; the Republicans didn’t. 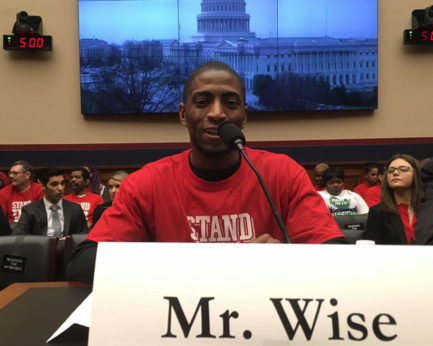 Wise was one of a parade of witnesses at the Democratic-run House Education and Labor Committee’s first hearing in more than a decade on raising the minimum wage. Their bill, HR582, is a key piece of the Democrats’ economic agenda in the new 116th Congress. During their eight years in power, House Republicans refused to talk about a minimum wage hike, let alone ever vote on one. 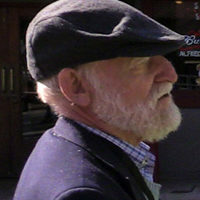 Wise joined AFL-CIO Chief Economist Bill Spriggs and other pro-worker witnesses in advocating that it’s time to raise the federal minimum, which has been at $7.25 an hour for the last decade. The last actual hike was in three stages, from 2007-2009. 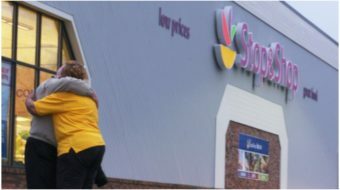 Spriggs and Economic Policy Institute analyst Ben Zipperer talked about the overall picture of how a hike in the minimum wage would help millions of workers and boost the economy of both the country and families. Spriggs also traced the racist roots of exclusions of farm workers and domestic workers from minimum wage and labor law coverage. “The erosion of those [federal] standards on wages, overtime protection, and the right to collective bargaining has made it harder for the U.S. economy to deliver rising living standards for all Americans,” he testified. But while Spriggs, Zipperer and the GOP witnesses talked policy and macroeconomic impact, Wise, a leader in the K.C. area “Fight for $15 and a Union” movement, told the panel of what it’s like living on the minimum wage, as he and his family have for years. It’s hard. It was hard for his mother, who toiled as a minimum-wage worker at Hardee’s in their native South Carolina for 30 years. His late father was a military cook. “Even with two incomes” and food stamps, his mother, father, Wise, and his siblings couldn’t get out of poverty. The same is true for Wise, his fiancée, and three teenage daughters. He doesn’t want them to share his fate. At times, Wise’s family was homeless, living in their purple minivan. That’s even though he works two minimum-wage jobs and his fiancée works in home health care—another low-wage occupation, though Wise did not say so. “I’d leave for work at Burger King at 2 pm and then work the overnight shift at McDonald’s” in Kansas City “from 10 pm to 6 am,” he explained. “Working for poverty wages just doesn’t harm me. It hurts my whole family.” In their early years, Wise would see his daughters “only when they were asleep.” That was when they had a roof over their heads, but that minivan was cold in Kansas City’s Great Plains winters. “Try waking up in the morning and getting ready for school in a parking lot with your family of five. That’s something a parent can never forget and a memory you can never take away from your children. You should never have multiple jobs in the U.S. and nowhere to sleep,” Wise said. The family has been so poor, working multiple minimum-wage jobs, that Wise’s daughters have never actually seen his mother, their grandmother. They can’t afford the drive to South Carolina. The “Fight for $15 and a Union” movement in Kansas City thought it had won big for workers like Wise when its city council—like the one in St. Louis—passed an ordinance ordering a raise in K.C.’s minimum wage to $15 over a period of years. Wrong. 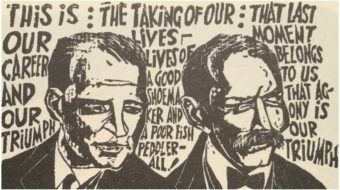 The GOP-run Missouri legislature stepped in, aided and abetted by then-Gov. Eric Greitens (R), and overrode the two ordinances, stripping all Missouri cities of their right to raise wages and set other labor standards. Such power-stripping is one characteristic of a large package of anti-worker state laws pushed by the radical right, notably the American Legislative Exchange Council. And the AFL-CIO’s Spriggs pointed out that racism often infects campaigns against raising the minimum wage since disproportionate numbers of its beneficiaries are black and brown adults and adult woman workers. He cited past congressional bipartisan votes to raise the minimum wage. That’s disappeared, especially under Democratic presidents. The practical impact on people, though, is why Wise urged lawmakers to raise the federal minimum wage, thus overriding Missouri’s rollback, among other things. Democrats agreed; Republicans didn’t. Their witnesses claimed, as usual, it would cost jobs.